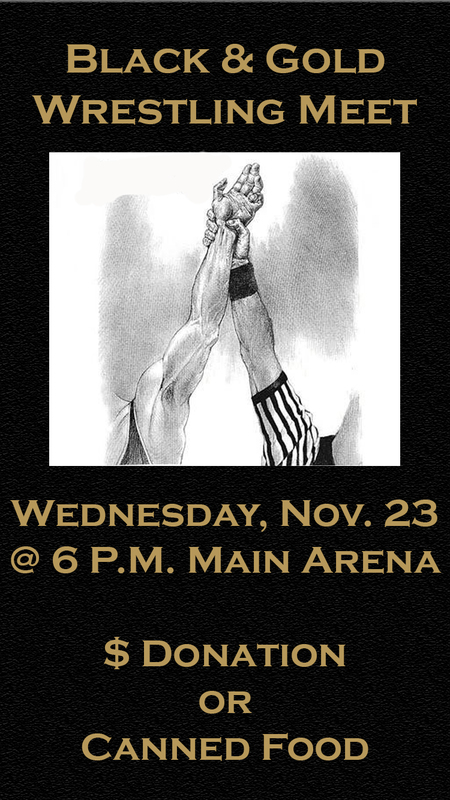 Tonight at 6 p.m. in the main arena, Penn wrestlers will square off against each other in a battle to determine who wins the varsity spot. Cost of admission is either a cash donation, or a canned food that will go to the wrestlers’ canned food drive. This is an annual event called the Black and Gold. Each year before Thanksgiving, Penn wrestlers go toe to toe with each other in front of a crowd of their family and friends, giving everything they have in attempt to win a varsity spot on one of the top wrestling powerhouses in the state. This is a legitimate dual meet with singlets, head gear and referees. Come to the main arena with some canned food to watch your favorite Penn wrestler do battle with one of his teammates!